Bring with you: soap, cosmetics, clothes you don’t need, sweets, pens and pencils. All these goods are expensive or hard to find in Cuba. You may be stopped by locals asking for any of those. It’s always useful to carry a few in your bag. Sweets (not easy to find at a cuban supermarkets) are always appreciated by children – make room in your luggage and bring with you. 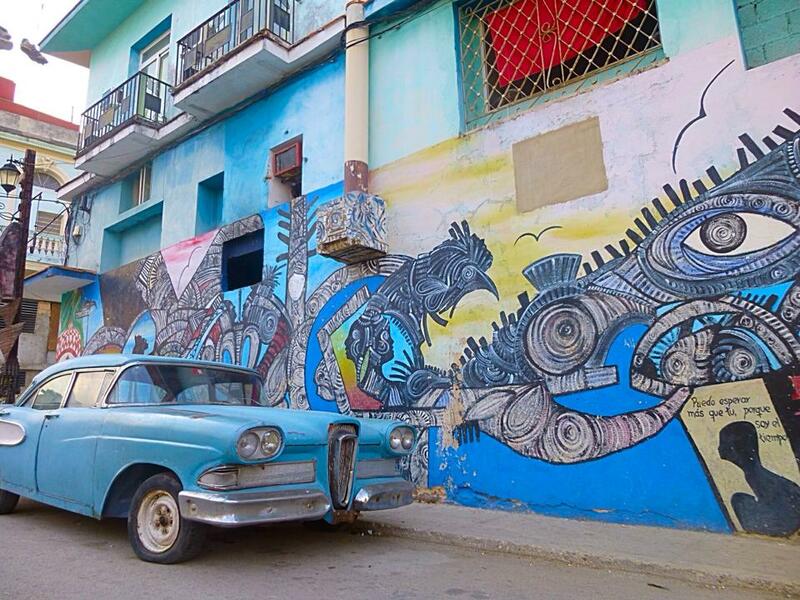 There are two experiences to have in Havana. One is to stay at one of the historical hotels and the other to stay at a ‘casa particular’ (home stay). I spent 3 nights at Hotel Sevilla Havana, just before I embarked on a trekking tour around Cuba. It is a beautiful Moorish building and one of historical importance. The lobby is gorgeous and spotless. I found the room a bit run down, yet clean. This is something you will experience with most historical hotels in central Havana, where the facade is renovated but not much have been put into the rooms and the prices are close to western ones. Nonetheless you are lucky enough to be in Cuba. The specific one is great for its location, just off Paseo del Prado in Centro Habana, next to Museo de la Revolucion and a walking distance to Habana Vieja. And if you are friend-less just like myself at the beginning of my trip, the bar offers great music with live salsa bands every night. I spent hours and hours wandering in Old Havana and that’s the beauty of it. Use your map to get there and then leave aside and get lost in the cobbled streets. It is so precious to make your own discoveries; the little atmospheric cafe, the churros stand, the weird boutique. Start your walk from El Capitolio and take Calle Obispo. This is Old Havana’s main street and the heart and life of it. It will get you to El Floridita and then it is an easy walk into the heart of Old Havana. Calle Obispo has anything imaginable, from food stalls to fruit stalls, mojito stands, numerous cafes, bands playing live salsa, old ladies selling meringue in little trolleys and local crafts shops. 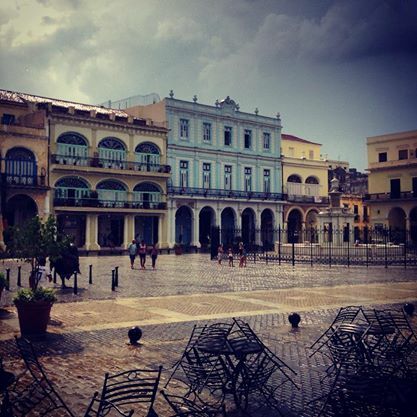 Calle Obispo will take you to Plaza de Armas, one of the most beautiful squares. Full of second hand book stalls this is a little heaven for first edition books (most of them on Che and Castro of course, some really valuable editions from Che’s diaries). This is where Museo de la Ciudad is situated (apparently the wooden path in front of it is still the original and was made out of wood to keep the noise out from passing horse carriages and not disturb the Captain General) – I found the museum gorgeous, the courtyard itself is one of the most elegant I have seen. 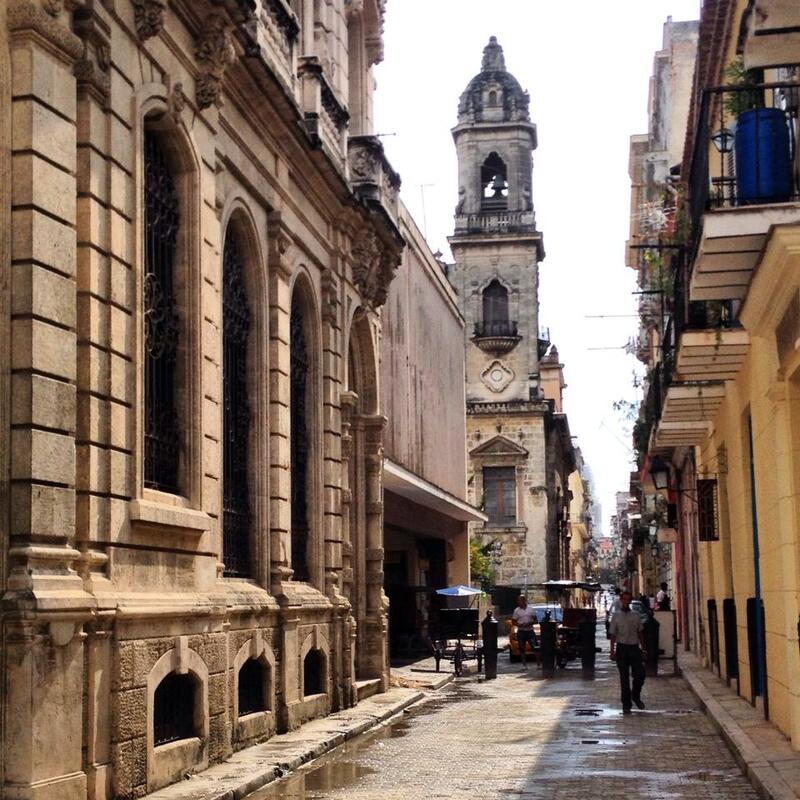 While still in Habana Vieja, visit Plaza de la Catedral and stop by at Museo del Chocolate. It is not really a museum but offers delicious chocolate drinks (try the cold thick chocolate). My home stay was towards Southern Habana Vieja. This is an area less frequented by tourists but it is heaving with local colour, has some lovely churches and it is a great opportunity to enjoy Habana in its natural pace of daily life. Anywhere at El Malecon is special. Head just before sunset, armed with cold beers, and enjoy the day winding down. It is Havana’s meeting point, between 6-9pm, full of couples, groups of friends, children, music and laughter, celebrating life. Every night at 8.30pm a special ceremony takes place at El Morro and a canon ball marks the end of the ceremony at 9pm. This is the beach to go if you are staying in Havana. Grab a taxi (negotiate a price in advance, usually the driver is happy to take you there and back with 30 CUC and most of the times happy to wait for you). The beach is about 20 mins drive from Havana. It is a gorgeous long stretch of white sand and turquoise waters. Head there on a Saturday, it is such a buzzing day, and ask the driver to drop you in front of Hotel Club Tropicoco. A historical hotel, one of the first in Havana. Go for a morning coffee at the hotel’s front terrace and enjoy the hustle and bustle around El Capitolio. Opposite El Capitolio you will find lined up vintage cars. You can go any time of the day and choose the car you like then book it for a specific time you want to drive. Drivers are pretty flexible. Also make sure you negotiate the price a bit, there are always willing to offer a better one. Schedule your drive for sunset and agree with your driver to drive past Malecon first. Apart from the fact that this time of the day is the most pleasant one to enjoy an open air car (sun on daytime can be scorching) , driving across the 8km promenade at sunset is a life time experience. Although part of the Old Havana experience, I saved this separately because I felt in love with this old beautiful square. One of the most beautiful squares and my personal favourite one. Head around 4-5 pm, time where it is at its most peaceful and enjoy a coffee at Cafe El Escorial overlooking the square. There are always children playing around there so if you would like bring them some sweets, they are always really appreciated. Unless you come to Cuba you cannot really tell what a ‘proper’ mojito tastes like. This is far from the ‘dessert’ type, crashed ice business you get at cocktail bars. The Cuban mojito is simple, rough and strong. And it is the best. Cuban food is generally quite blunt but fresh fish and seafood are just amazing. Lobster is ridiculously cheap and it is served grilled with rice and vegetables. Head to Los Nardos in Central Havana for really tasty dishes. Just be careful, portions at this place are quite big, even the starters! I was lucky enough to be there and experience May Day. Kicking off from Vedado at 6am and walking all the way down ending up at Plaza de la Revolucion. Millions gathering to participate in a peaceful parade from adults to children. For anyone, passionate enough for Cuba’s history and political status, this is a unique experience. This is a pretty surreal little alley, full of rumba beats in the weekend and a shrine to Santeria and arts. I had the most bizarre tour by a local musician based at Callejon, from Che’s house to the bar the film ‘Fresa y Chocolate’ was filmed. Worth the visit for its bizarre vibe alone. From there continue on foot along El Malecon and reach Hotel Nacional. You don’t feel you are in Havana any more when in Vedado. This upscale, leafy neighbourhood is full of well preserved mansions. La Rampa is the heart and soul of Vedado, full of restaurants, bars and shops. Head to Coppelia ‘the ice cream parlour of the people’. Vedado, although a bit out of the way from Central Havana and Old Havana is still a short taxi ride, and for those who want to get out of the touristy parts this is a good base. Additionally, it can be quite convenient to trips out of Havana as the central bus station is based in Vedado. Would recommend Casa Belkis for your home stay – really beautiful house, spacious rooms and Belkis is a marvellous hostess.